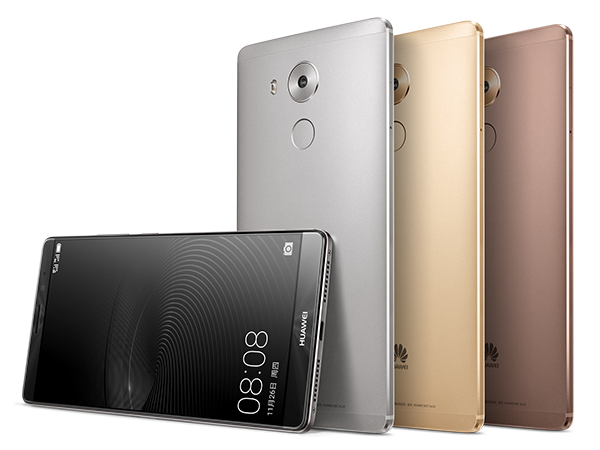 Today Huawei announces their new flagship, the Mate 8. We've already had a look at the Mate S during this year's IFA conference, and while I didn't quite manage to finalize the review of that device at the time of posting this, one thing I can say about it is that the Mate S felt like a tangent to the usual product category that the Mate-series usually targets. 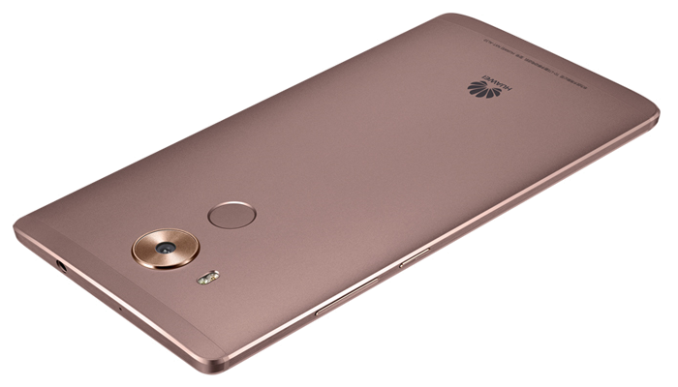 Huawei confirms this suspicion with the release of the Mate 8, now bringing the true successor to last year's Mate 7. At the heart of the Mate 8 lies HiSilicon's new Kirin 950 SoC. We attended the chipset's launch in Beijing just a couple of weeks ago and for the curious readers they can read a more in-depth look of the SoC in our announcement piece. To recap the new SoC is a big.LITTLE design with 4x Cortex A53 running up to 1.8GHz serving as high-efficiency cores and 4x Cortex A72 high performance cores running at 2.3GHz. From the data that we've been presented with by Huawei and HiSilicon it looks like the new Kirin 950 has made very large strides in terms of power efficiency, so that'll be definitely a factor in the Mate 8's battery life. Indeed, with a similar 4000mAh battery and an efficienct SoC, Huawei promises that the Mate 8 will be able to last 30% longer than the Mate 7, a device which already topped our battery charts but due to the inefficiency of the SoC wasn't quite able to match up to its own predecessor at the time, the Mate 2. On the GPU side we see a Mali T880MP4 running at up to 900MHz, while this is by no means a slouch, it'll fall only in the mid-range in terms of performance against 2016 devices as we'll see the competition using Qualcomm's Snapdragon 820 or Samsung's Exynos 8890's with configurations employing much more powerful graphics processing abilities. This is somewhat alleviated by Huawei's choice of keeping a 1080p resolution on the device's 6" IPS LCD screen. To quickly refill that big battery, Huawei also announces fast charging of up to 2A at 9V or 18W, promising it can charge up to 37% charge in 30 minutes. Connectivity wise, the device is powered by the Category 6 integrated Balong LTE modem of the Kirin 950, although we'll have to wait on confirmtation of the exact frequency bands of the international model. Huawei has also finally upgraded their Wi-Fi implementation to include 802.11ac and also re-implements dual-band 2.4 and 5GHz support which was notoriously missing from this year's devices. While on a recent trip to China we had the opportunity to have a hands-on with the Mate 8 and experience it live. 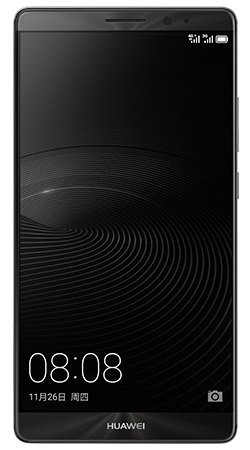 As mentioned earlier, the device's defining characteristic is the large 6" display, and while the Mate 8 has kept this specification, it has slightly tweaked the ergonomics by giving it a larger curve on the back of the device resulting in edges that are thinner, making the device easier to hold. The front glass now also features 2.5D edges which give it a better feel than the plastic bezels around the Mate 7's screen. Huawei keeps publishing some rather deceptive looking device renders as it appears as if the screen has no bezels. This is unfortunately not representative of the device as it does have a ~1.5mm inactive border around the actual screen. Other changes in design include the move to a bottom-placed speaker, now similar in design to the ones found on the P8 or the Mate S. The Mate 8 keeps the same camera, flash and fingerprint-sensor positioning of the Mate 7 but they all now use circular designs instead of square ones. When speaking of the camera, we see the introduction of a new sensor module from Sony. The IMX298 is a new 1/2.8" 16MP unit with 1.12µm pixels and phase-detection auto-focus (PDAF) pixels. The optics on the camera module offer a F/2.0 aperture lens and also offers optical image stabilization (OIS) with up to 1.5° angle of movement. While trying out the camera I found that it seemed to offer quite good picture quality and the new ISP of the Kirin 950 seems to have certainly been part of some of the improvements in terms of the camera. Unfortunately due to the Kirin 950's encode limitations, the device doesn't offer 4K recording and is limited to more traditional 1080p video. On the front-facing camera we see a 8MP shooter, most likely the same sensor and module configuration found on the Mate S.
The device comes with two possible configurations and price-points: 3GB RAM with 32GB of NAND storage or 4GB RAM with 64GB or 128GB of storage. 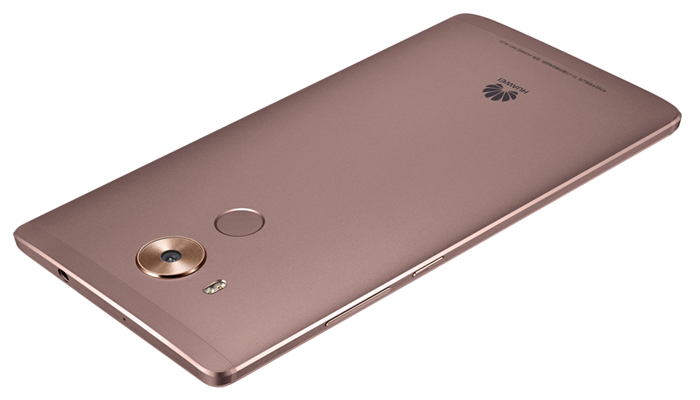 As seems to have become traditional for Huawei, the Mate 8 offers either dual-nanoSIM capability or you can use the second SIM slot as a microSD tray for additional storage. 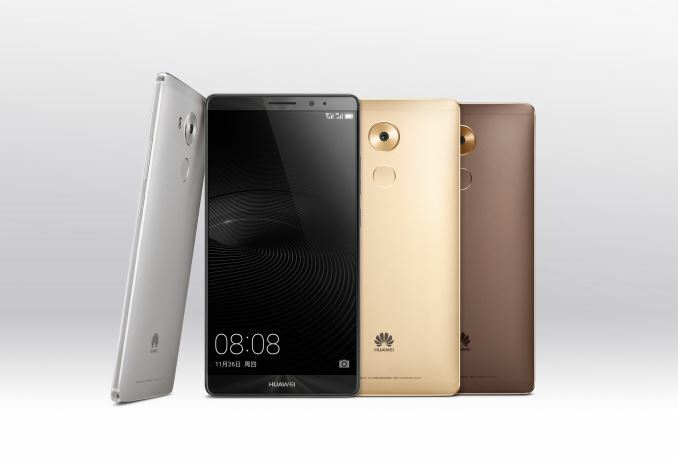 The phone ships with Android 6.0 Marshmallow with a new Huawei's EmotionUI 4.0 customization on top, and will initially be available in China from Q1 2016, while being introduced for western markets later on at CES. Chinese MSRPs for the 32GB, 64 and 128GB models come in at respectively RMB¥2999, ¥3699 and ¥4399. 6 inch 1080p is plain weird , unless you go for 200$ but the price won't be friendly at all. That SoC would be nice if they would use it in anything above 150$. That's the only reason to make your own SoC , offer more than others can to gain share and image at no cost . Sadly all except Apple are doing it for higher margins and that's just incompetence.